After months of community engagement, grassroots outreach and advocacy trips to the state capitol, the IMAN-drafted Path to Restoration Bill was finally signed into law last month. This crucial legislation generated bipartisan support, and establishes several amendments promoting transparency within the Illinois registry system tracking individuals convicted of violent crimes against minors. 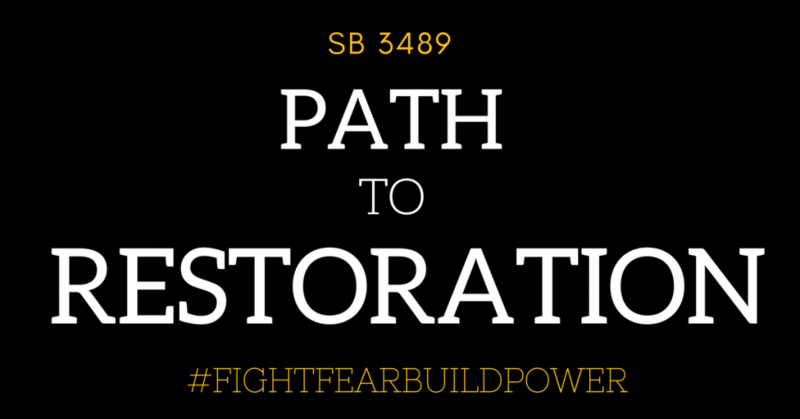 Alongside the Removing Invisible Bars Bill–passed by IMAN organizers in 2016–the Path to Restoration Bill advances efforts to open pathways for returning citizens to positively contribute to their communities without fear of lingering surveillance and stigma. The Path to Restoration Bill was born out of personal connections between our leaders, fellow community members, and IMAN organizers. 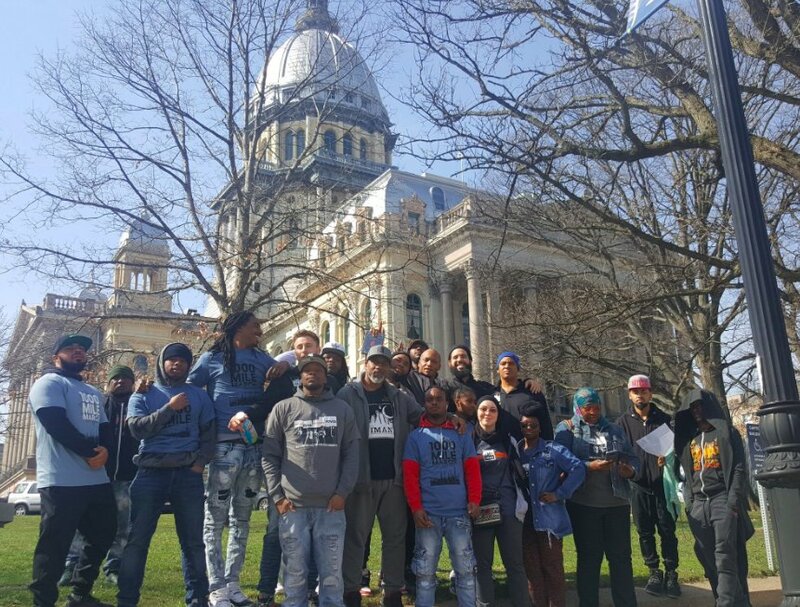 As those most directly affected by the opaque, overly punitive Illinois registry system shared the obstacles they faced, Staff Attorney Aaron Siebert-Llera and Staff Organizer Nasir Blackwell took the lead in gathering support for the bill from the grassroots level to the state legislature. Several instructors and alumni of our Green ReEntry program stepped forward to tell their stories to the media and public officials alike. The bill will go into effect in Illinois on January 1, 2019, giving residents the power to file a petition with the State’s Attorney’s Office in the county of their conviction. Such a petition could amend any erroneous information attributed to them on the registry, and/or have their names erased from the registry in the case of significant errors. IMAN organizers are currently developing an implementation and education strategy to help individuals navigate the newly amended state registry. IMAN’s push to #FightFearBuildPower continues, and community-informed criminal justice reform remains at the forefront of our efforts. To learn more about this and other campaigns, please attend our weekly Grassroots Power Hours on Tuesday evenings, or email organize@imancentral.org for more information.